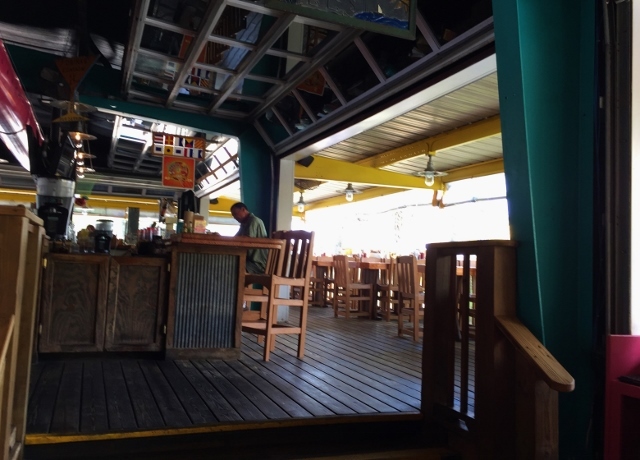 Years ago I visited the original location of Lulu’s, back when it was a little place on Weeks Bay, Alabama. 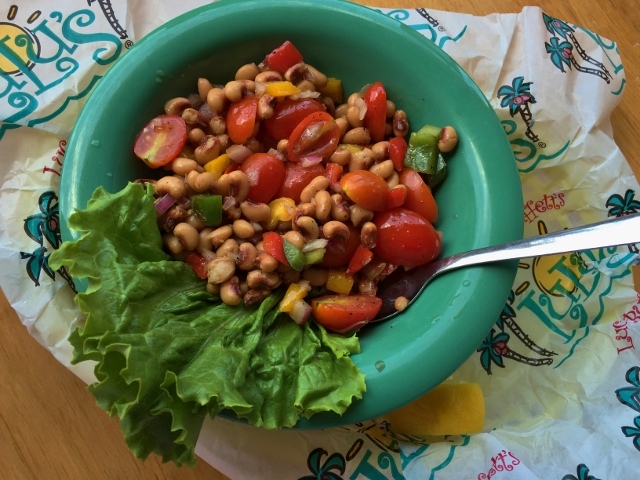 I even created a recipe inspired by a dish I enjoyed there. 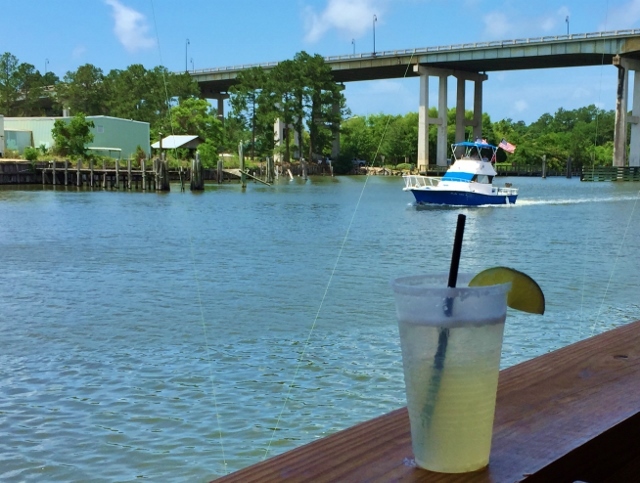 On our recent trip to the Gulf Shores area, high on my list was visiting Lulu’s in their current location. Oh my goodness, did I ever have a great meal! Lulu’s is Lucy Buffett’s restaurant. Yes, that Buffett, she is Jimmy’s sister. 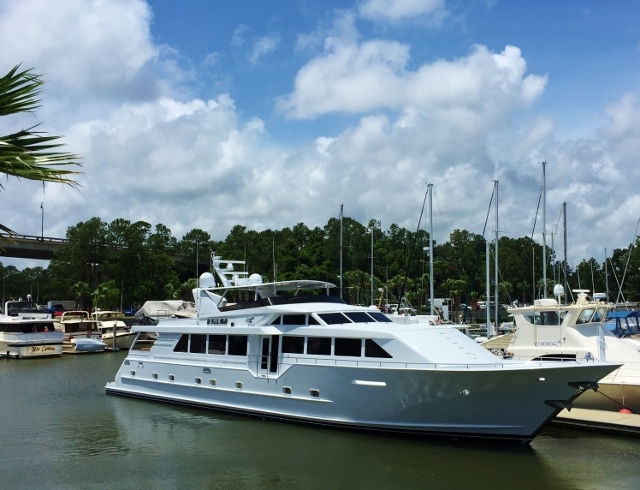 I’m not sure calling it a restaurant is quite accurate at this point, because there is a three-story ropes course, stages for live music, an arcade, multiple bars, an outdoor kitchen designed for cooking demonstrations, plenty of room to dock your boat… It’s truly a destination! Along with the menu, our server let me know that a crew leader would be handling my order. This is EXACTLY the way to put my mind at ease. Lydia wrote my order on a red ticket and covered with me what changes would be made, which was using baked instead of fried tortilla chips. She told me they take special orders seriously, which sure made my meal enjoyable. My food was also delivered separately from the food my friends ordered. When it came time to order a cocktail, I heard something I haven’t heard anywhere else before. They would not give me any guidance because alcohol does not have the same labeling requirements as food and they can’t guarantee what is and isn’t gluten-free. We had a conversation about Omission beer and hard cider, but I was there for a mixed drink. Good thing I’ve got booze covered and ordered a cocktail crafted to my specifications. 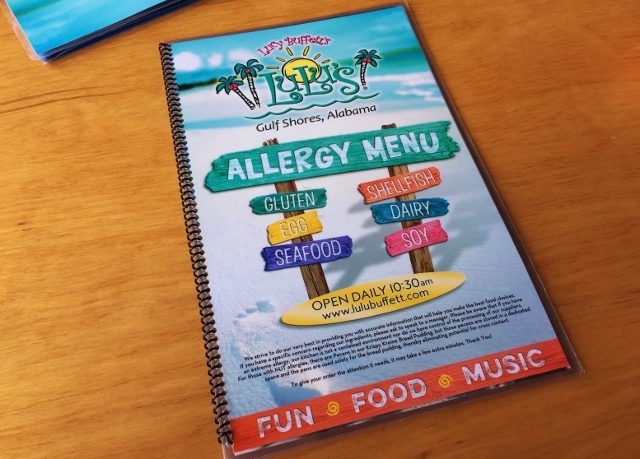 They really do take intolerances and allergies seriously at Lulu’s and want you to have a safe dining experience. I shared L.A. (Lower Alabama) Caviar with my favorite fella and our friends. This is the dish that inspired a recipe I created after my first visit. I could eat this every single day. With all of those black eyed peas, I’d be a very lucky girl! For my entree, I chose the vegetarian nachos, which are actually a starter, but seemed like they would be a perfect entree. Holy smokes, y’all, this was a mountain of nachos! 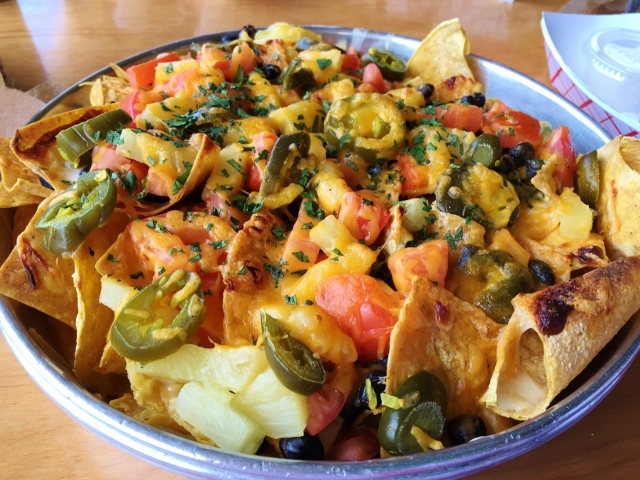 I didn’t even come close to finishing this, but did enjoy the addition of pineapple to the nachos. So good. I also got a side of cheese grits. 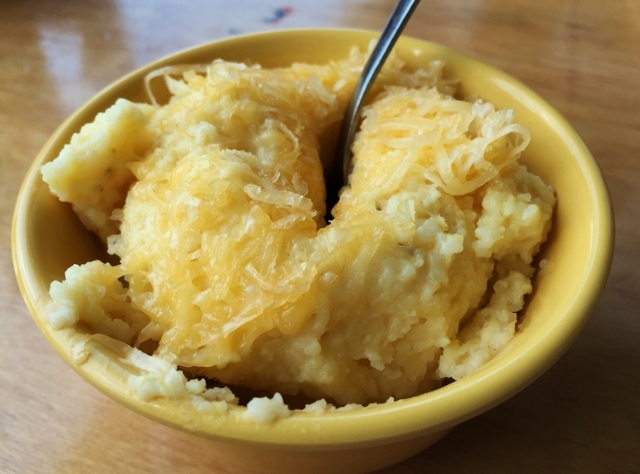 It’s just mandatory in my world to order cheese grits anywhere that prepares them in a way that is safe for me to eat. They were perfect; creamy, yet the grits weren’t completely mushy, well seasoned, not even a need to sprinkle with pepper. After lunch, I tried to get my gluten-eating mates to order the Krispy Kreme donut bread pudding, but they were all too stuffed to indulge. Instead we went to the arcade and played skeeball. We spent a little time exploring, admiring the boats in the marina and shopping in the gift store. I would have been fine spending an entire day here, watching boats come and go, having cocktails delivered to our table. I’m gonna share that I read some reviews online, some from my fellow gluten-free folks, complaining about the noise at Lulu’s. This is not a white tablecloth dining experience, y’all. This is a place to go for fun. There is often live music. One of my favorite musicians plays there nearly every week. There’s an arcade with noisy games. People are on vacation, having a ball. Their kids are noisy, tired and restless. Their spouses may be as well. Boats are going by and docking. If you are looking for an intimate dining experience, this might not be the place. 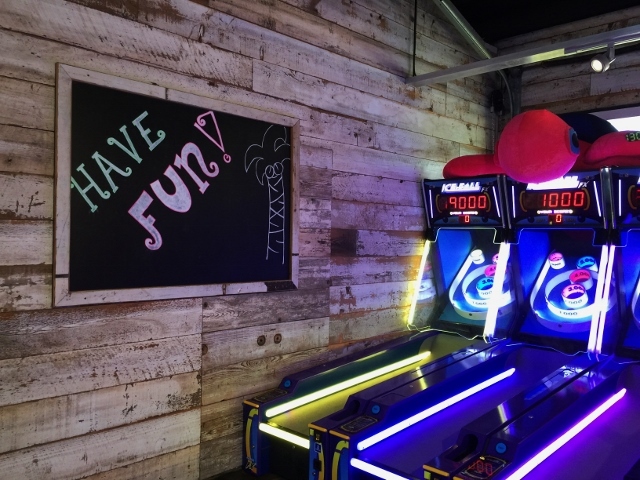 If you are looking for fun beside the water, tasty food that is handled exceptionally well for those with food allergies AND like having a great time, Lulu’s is for you. I’m weary of complaints about noise when you go to what is essentially a party. That said, I had no trouble on a Saturday at lunch time having a conversation across the table. It was relatively quiet and not yet crowded. Perhaps that tidbit will help you in choosing when to visit. Because I hope you will. Lulu’s is definitely worth a visit, one where lunch lasts forever. 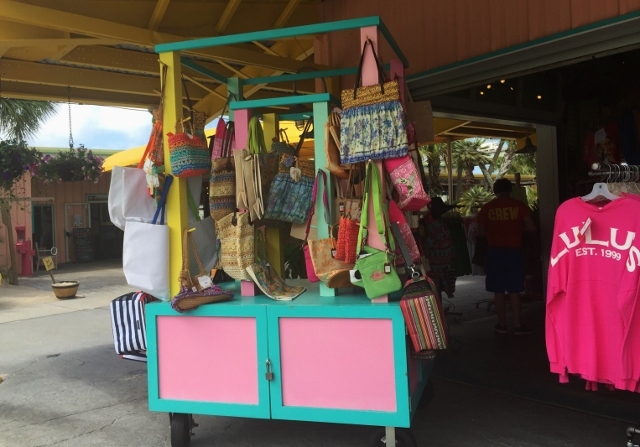 Lulu’s at Homeport is located at 200 East 25th Avenue in Gulf Shores, Alabama. 251.967.5858. You can view the allergy menu here. Plentiful parking was in nearby lots. 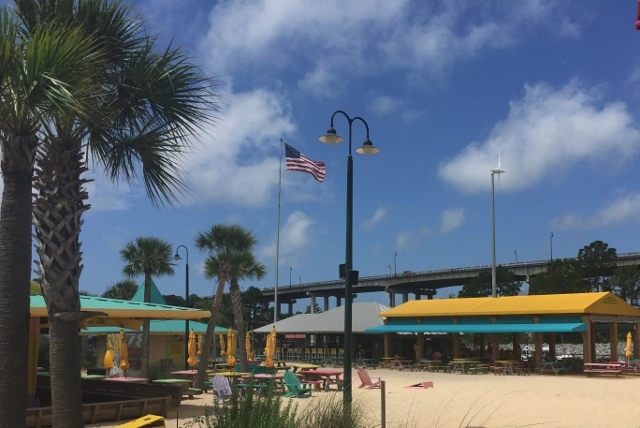 A location in Destin is in the works, for those of you venturing over the Florida border. The I Ate Here series is not intended as a restaurant review, rather a summary of my experience dining out. * Menu prices, items and ingredients featured were current at the time of writing. Please read the menu carefully and ask for assistance in ordering if you have dietary restrictions. 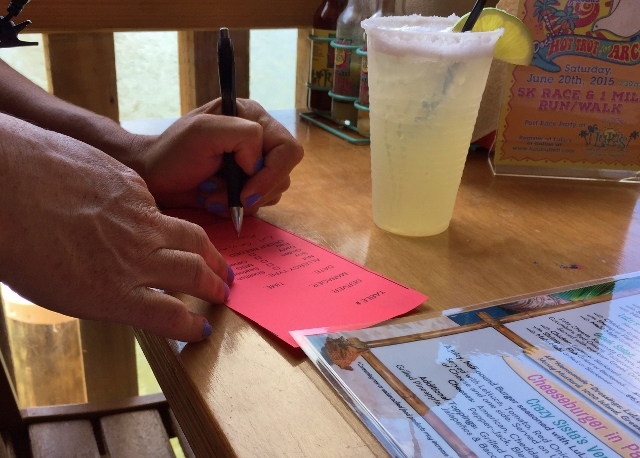 It’s a good idea to call ahead and let the restaurant know of your food needs. 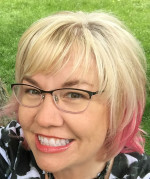 *Writing bad reviews doesn’t feel good. Only in extreme cases (a total of two in five years) where gluten has been apparent in my food or the handling of my food restrictions was of great concern do I share anything less than a recommendation. I’d rather share a good recommendation with you. I hope that’s what you are looking for anyway, recommendations on where to dine and fun places to visits in your travels. Thanks for understanding. 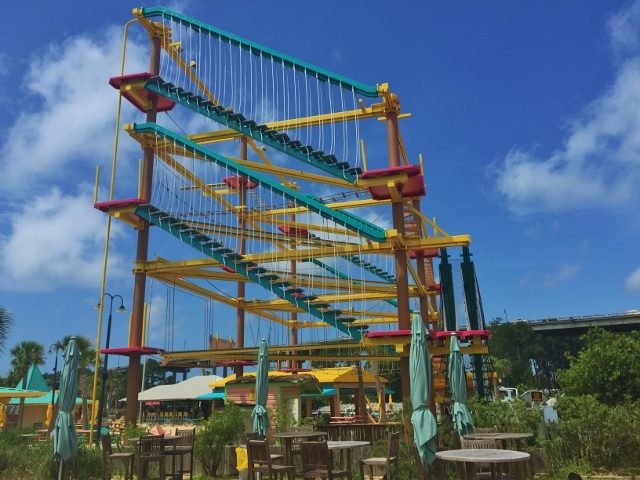 When I last visited Lulu’s, they hadn’t yet added all that you share here (e.g., rope course). I had heard they had added the special gluten-free, allergen-free menu and were handling those accommodations so very well. I am really happy to hear that as I will probably be visiting in the fall. I could totally go for all that you were eating and drinking. No, Lulu’s is not a quiet place, but you don’t go there for quiet. You go there for lively fun and tasty eats. 🙂 Thanks for sharing, Johnna! Oh, I hope you’ll report back after you go, Shirley! I would love to see a meat eater’s take on dining gluten free at Lulu’s. There were so many seafood options on the menu. Those nachos! They look fantastic. It’s nice to hear of a place that takes intolerance seriously. One of my daughters is severely allergic to latex, and that’s found in avocados and tomatoes among other foods. She specifically, in detail, told the server “no tomatoes because…” Her sandwich came back with tomatoes. She sent it back. Even though they knew about her allergy they opted to remove the tomato instead of making her a fresh sandwich. She had a severe reaction. If I’m ever out that way I will most definitely stop here! Oh, that’s a pet peeve of mine! If a dish is brought to me with something containing gluten (croutons on a salad), I try to do something to it before sending it back so I’ll know for sure. I’ve put ketchup on top of a salad just so I know I’m not getting the same one back…and then I worry what the kitchen will do to my food. It’s just so nice when we go somewhere to eat that truly does listen and takes care of it right the first time. I’ll never stop being appreciative of those who try so hard to feed us well. I hope you get the chance to stop at Lulu’s. Such a terrific and tasty experience!